Imagine mats being so comfortable that a whole nation uses them as flooring material in their rooms. Of course, I’m talking about the Japanese and the Tatami mats. What are Tatami mats and What Makes Them so Special? 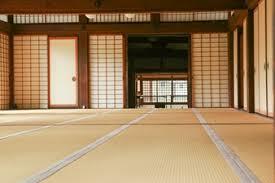 Tatami is a special type of mats which is a traditional flooring material in Japanese rooms. The core is traditionally made by using rice straw. However, the modern versions of tatami contain compressed woodchip boards or polystyrene foam. The Japanese use it as flooring material but it seems tatami should serve its main purpose as exercise mats. Here are some of the advantages of our Tatami exercise mats. Tatami Mats are great for the environment because they contain a large portion of rush straw. It is proven that these mats are air purifiers since they absorb nitrogen dioxide. You wouldn’t believe the influence these mats have on your surroundings. Also, these exercise mats are considered to be great insulators. As strange as it may seem, these mats are designed to keep your room cool during summer months retain warmth when it’s cold. Tatami exercise mats are designed to be fitting in all surroundings and purposes. They have the quality needed for being used in competitions and the durability needed for home or gym usage. Tatami exercise mats are as comfortable as mats get. They are supportive to the body and absorb pressure wonderfully. Natural, traditional tatami finish on our mats reduces the impact on your knees, back and joints while exercising. Tatami gym mats are light-weighted and easy to carry. It is as simple as beans to install the mat anywhere in the room or in the gym. Tatami mats are the perfect choice for your exercise, whether you’re working out in a gym or in the comfort of your home. You won’t make a mistake buying one of these. After all, the Japanese industry never fails.